When Western mainstream media talk about wars, always they have the agenda of the West: the US, UK, and NATO. The elites who own these western outlets can decide to allow them to speak the truth or not, says Middle East analyst Marwa Osman. US Central Command (Centcom) has confirmed it carried out a deadly air strike in Syria's Aleppo province. According to eyewitnesses on the ground, over 50 people have been killed as a result of an air strike on a mosque in the area. The US claimed it didn't target the mosque but was targeting a site 15 meters away. Meanwhile, multiple media outlets accused Russia. While some of them blamed Moscow right in the headline, others were more careful deciding to remind readers about accusations of Syrian and Russian strikes from the past, under a entirely different subtitle "US air raids." And some of the news outlets haven’t fixed the claims even after Centcom's statement. RT asked analysts what they make of such media coverage. 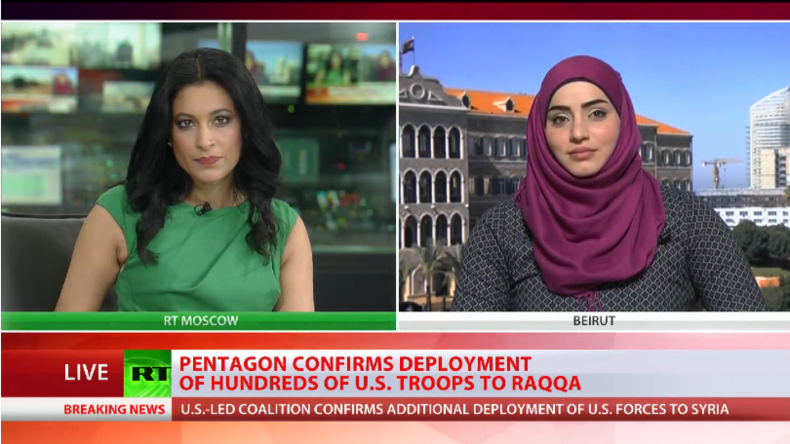 “Western mainstream media that talks about the wars - whether in Syria or anywhere else - they always have the agenda of the West, especially the West meaning the US, UK, and NATO,” says Middle East analyst Marwa Osman. In her opinion, over 80 percent of the news about wars in the Middle East is fabricated. “They are made in the way of video news releases rather than actually going on the ground and speaking with the people and actually taking footage of the so-called bombed areas. And there are certain agendas and certain elites who own these media outlets like AFP, like the BBC and other major outlets. And they either allow them to speak the truth or they do not,” she said. Osman also noted that it was Twitter that revealed which country was behind the bombing before the mainstream media outlets acknowledged the idea. 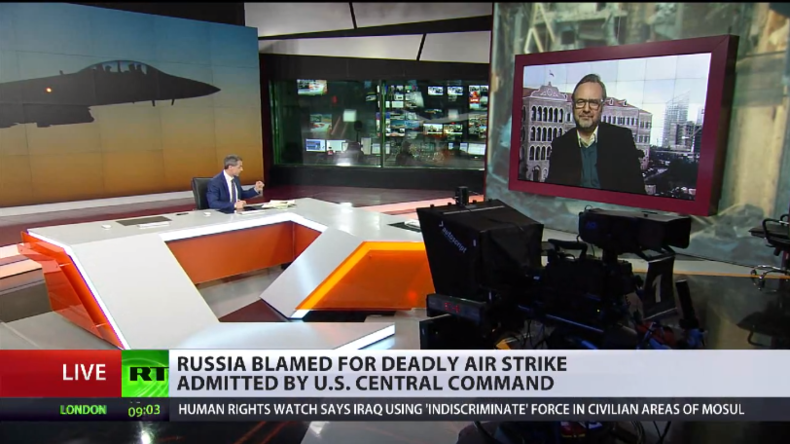 Later, the US Central Command spokesman added that the exact location of the strike was unclear but that it was the same attack in Syria that was reported in the media to have targeted a mosque in the village of Al-Jineh, in Aleppo province. “We did not target a mosque, but the building that we did target - which was where the meeting took place - is about 50 feet (15 meters) from a mosque that is still standing," said Centcom spokesman Colonel John J. Thomas. 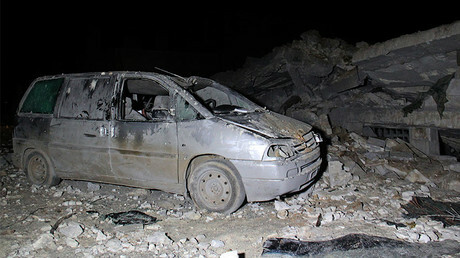 “When you look at the area where this was bombed, this was not Idlib. This was the village of Al-Jineh, several kilometers away from the Idlib governorate, but it was in Aleppo. 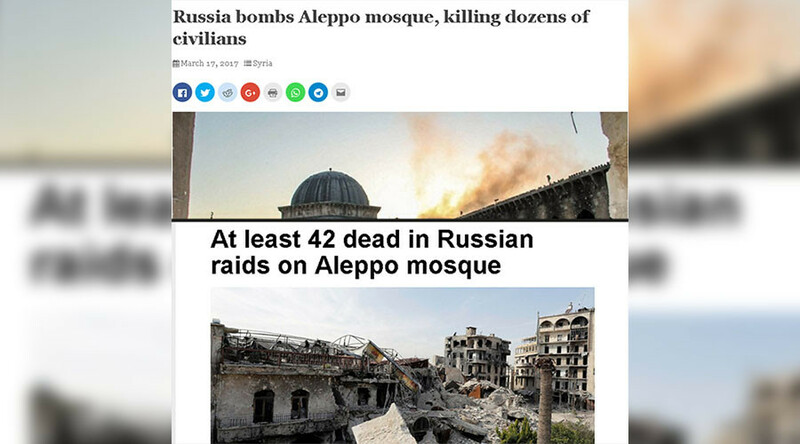 And it was against Ahrar Al-Sham which is an Al-Qaeda affiliate, the same terrorists that were being targeted by Russian air force and the Syrian Arab Army air force two months back, and the entire mainstream media on this planet were blaming them and saying they were killing civilians and they were having a humanitarian crisis inside of Aleppo. And now the US does the same, and yet it bombs a mosque with more than 300 at prayer, according to witnesses,” Osman said. “There is a bigger story here, which is that we look at the Syria battlefield and the peace talk that is going on in Kazakhstan and in Switzerland and we wonder why after so many years we are not making any headway at all. One of the reasons why is because superpowers behind these talks - Russia and America, Iran and Turkey - don’t have all the information at their disposal, not only of the political process going on but also of the battlefield itself. We seem to be indulging ourselves in a quagmire of fake news now coming out from Syria,” he told RT. "I think it is inevitable when you look at the history and how some of these mainstream organizations get their news. If you look at some news reports today, perhaps some of those news reports were immediately fed to BBC and CNN by AFP who seems to be one of the first off the mark. But look closer and more deeply at where these reports are coming from, and you will find the Syrian organization in the UK which is one individual who is anti-Assad, and he was paid by the EU and the British government to essentially cultivate and propagate fake news...about Syria,” Jay added. The US Central Command said it is going to look into any allegations of civilian casualties linked to this strike. 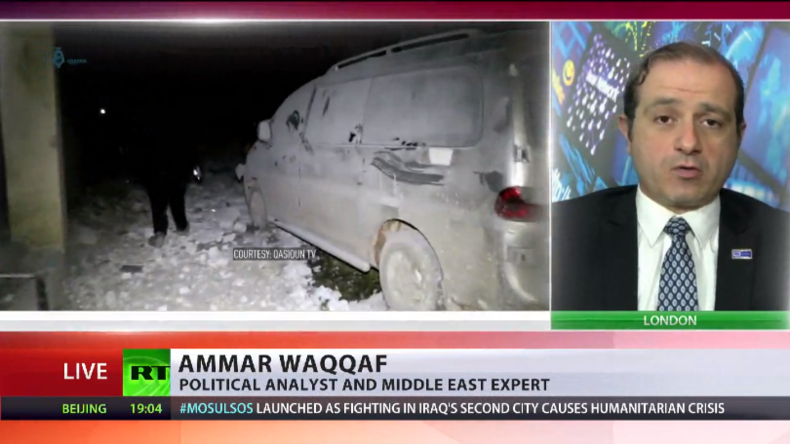 Commenting on how balanced findings of this investigation might be, Ammar Waqqaf, political analyst and director of GNOSOS think tank says an independent inquiry might be needed.